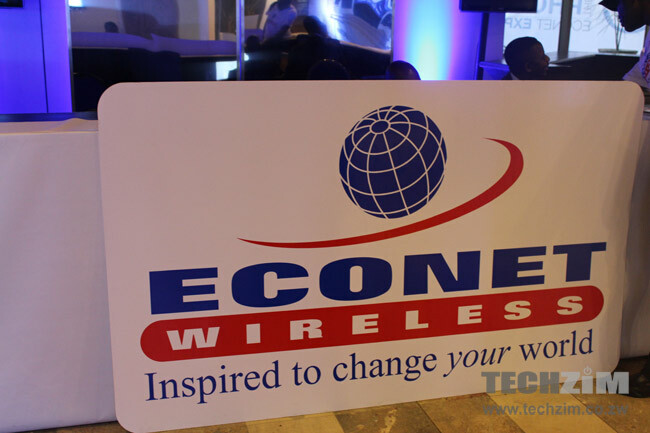 Econet Wireless, Zimbabwe’s largest mobile network operator announced its interim results for the six months ending August 2015, with the telecoms operator registering a 17.7% drop in revenue compared to the same period last year. In the 6 months leading to August, $323 million was realised in revenue, down from $392.3 million for the same period last year. Mobile Broadband revenue retracted by 6.4% to $52.3 million, with overlay services revenue gaining by 29.1% to $35.5 million. Profit for the period stood at $23,8 million which represents a 52% drop from the $49,8 million recorded in the same period last year. Earnings before Interest, Depreciation Tax and Amortisation (EBIDTA) dropped by 21% to $122.5 million, though Econet has taken solace in the fact that its EBIDTA margin of 38% is comparable to other telecoms operators in the region. In a statement from the Econet CEO, Douglas Mboweni, some of the hindrances to a better performance included the challenging operating environment which has been plagued by deflation and problems involving job terminations, regulatory stumbling blocks like the reduced tariffs on voice communication and added tax burdens such as the 25% duty on mobile devices introduced by Government last year. Econet’s CFO, Roy Chimanikire referenced the aggressive cost rationalisation programme, touching on both operational and capital expenses, that the company had put in place to help improve its earnings. So far this has included salary cuts for its employees, a series of retrenchments, as well as reaching out to suppliers and asking them to reduce their prices. As had been anticipated, Econet’s statement leaned heavily on the bet it is making on the possibilities that lie ahead for the telecoms operator as it becomes a provider of overlay services, something that Econet shaded in the background with its ongoing “Beyond The Phone Expo“ which highlighted some of these new revenue streams. As such, a lot of emphasis has been placed on the success and potential of products coming out of the Econet Services division which include EcoCash as well as other up and coming industry disruptors like EcoSure, EcoFarmer, EcoHealth and the Connected Services brand which handles entry level IoT products for cars and homes. Good restructuring of the economy, let the dollar power show itself. Days of recording stratosphere profits are over! I am surprised someone can actually celebrate the demise of firms in the country. This shows the economy as a whole is down and I don’t see where econet made stratospheric profits before. Firms are collapsing because of stupidity in the economy! Most of those firms where not manufacturing anything, instead, there just resellers of cheap Chinese goods which they would tripple the price here. We killed our own industry in search of quick dollar. As it stands, companies profit are going to continue downward if they do not adjust their wages. Prices have to go down!! There is no correlation between stratospheric profits and economic performance / health, if anything it exposes the monopoly in the telecoms industry. The greed created nguva yekuburner is still ingrained in many businesses, Econet should release information on revenue per subscriber to gauge their pricing / greed. How do you find anything “good” about a company performing poorly when the effects of it are already being felt in the economy; unemployment as they retrench; less overall tax paid by company & by people that are now unemployed; less FDI as clearly investors are better off investing elsewhere; no money to reinvest into capacity expansion and therefore a crappy service for the subscribers. Where’s the good in that? Because the money to invest was never there, it was an illusion from the zim dollar error! Expain to me why we have some employs in Zim who earns more than UK prime minister or US president. Is our economy bigger than those countries because salaries reflect state of the economy? Explain to me why our prices never goes down as drastically as they go up. Fuel world wide is really cheap, and we also being told ours can be even cheaper because of blending! But it rises instantly if price goes up. Give me reason why SA worker who earns less than Zim worker has a better life yet their currency is weaker. You raised very interesting points here macd chip. We even have a larger govt. cabinet than before, yet the economy continues to shrink. The govt. jokes of creating employment, investment, local value-add by mines etc and what do they DO? Ask the mines to cut power usage by 25%. Do we need this govt which spends 85% of revenue on salaries? Whose interests are they serving? What future is this lot taking us to? Here in Zimbabwe its a very challenging environment for operators. The power cuts gripping us mean that 70% or more base stations are on generators at any given time something which is not viable coz they need to be refuelled time and again and the generators also need maintenance. Voice revenue is shrinking whilst data services are gaining demand. What it means is that operators are forced to commit more and more investment in data network upgrades yet revenue is slowing down. An example in south africa is vodacom which spends billions of rands upgrading the gauteng data network which carries more than half the data of the whole network yet revenue is declining. Econet is no exception here, they are faced with the challenge of repaying loans they borrowed at the same time maintain and upgrade its 1500 base stations countrywide to advanced version of 3G to improve efficiencies in data handling. The solution here lies in firstly implementing other alternatives like solar, wind systems though costly to deploy at first but provide Opex savings in the long run than diesel generators. Secondly diversification into television and other multimedia services is the way to go, as other operators are doing especially in Europe. Thats where datacasting comes into play, a concept that Netone is trying to embrace. Thirdly instead of leasing land they could buy some land slowly for base station rentals than continue leaing for at least $500 per month as they are doing. Simple calculations show that it translates to $6 000 per year and $60 000 per 10 years which is costly than purchasing land. Fourthly a negotiation with Zesa to exempt some base stations from loadshedding will do good for them. These are some of the measures Econet can implement to return to viability. But richard, u cant just buy land where ever you choose. Econet does not decide the location of their base stations but rather they have specific software and hardware which determines the optimal location for each base station given geographical features of the area etc. If the base station is determined to be optimally in land already owned by Xibo, then there is very little they can do but pay me. I understand your point but Econet has base stations in land owned by Local councils and some rural district councils, why not approach them to purchase land than continously renting out. Some owners are willing to sell their land to them. Netone despite their inefficiencies have a base station at either post offices, telone exchanges, nrz offices, gmb silos and government buildings including police stations. Besides buying land Econet can then lease the land or rent out buildings to other people and in that way earn money. The money can buy fuel, pay a guard, pay for power and those base stations become self sufficient. I have seen instances where econet pays more than 500us monthly for rentals and that is before we factor other costs and i tell u the situation is not viable in rural areas where average revenue per user is marginally low. NetOne can put base stations where ever they want because they are gvt owned and they do not have any fees to pay! I was recently house hunting in the Avenues area and one property owner l met was happy that Econet installed their receivers on top of block of flats. Apparently not only do Econet pay rental fees, they also renovate the flats from outside using their own money! Richard I do agree with you in your ideas but is this not what some economists and other technocrats tried to do to our government in the 80s . Advising someone who has own agenda is like you are mocking them. All your ideas are known at econet but t surely if implemented, there would certainly be no personal benefits to the policy makers. Just look at how the structure of that company is like, “top heavy”. Check the retrenchments carried out in 2015, they touched on the bottom. Lets say for example on average in the rural areas land costs $30 per square metre and an average area for base station site is 100sqm, an operator may pay $3000. Cost for leasing from an individual can be $6000 per year per site. The saving on the first year will be $3000 and then $6000 annually every subsequent year . You cannot just buy or acquire land. Econet is not Gvt. Someone must be willing to sell. Zanu killed reasoning. Why buy a farm or SMM when you can acquire it!